Chest congestion is a very common infection in the respiratory system. 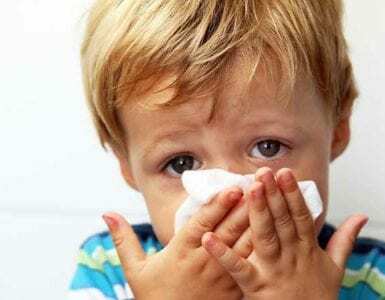 Respiratory tract infections involve inflammation of the lower tract of the respiratory system, which ultimately causes difficulty in breathing. It is followed by chest pain and discomfort. In simple words, chest congestion is the accumulation of excess mucus and fluid in the lungs. When we breathe, we inhale several particles, like dust, viruses, allergens, bacteria, etc. These particles get trapped by mucus, which covers the membranes. 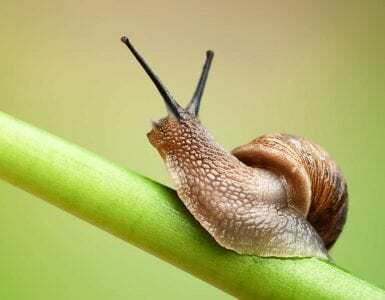 The mucus is then transported to the throat, from where it is either swallowed or coughed out. 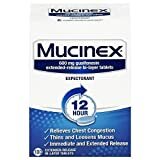 Excess mucus results in chest congestion. What Are the Causes and Symptoms of Chest Congestion? 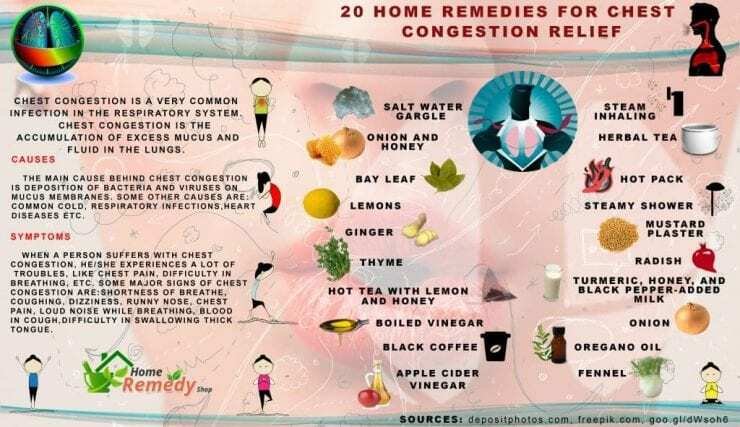 What Are the Common Home Remedies for Chest Congestion? Chest congestion is a very common symptom noticed in most people, including toddlers, young children, and adults. We always refer to a doctor, if we are suffering from chest congestion. Very few people take out time to utilize some home remedies for the treatment of chest congestion. We never know that some ingredients, present in the kitchen, can work so effectively for health problems, like chest congestion. Take a look at some easy and natural home remedies for chest congestion. One of the most used home remedies for chest congestion is salt water gargling. Gargling with saline water helps in removing mucus from the respiratory tube. Put one glass of water to boil. Add 1-2 tablespoons of salt in it. Stir it well and add a pinch of turmeric powder to it. Take a swig of warm water and gargle for 1-2 minutes. 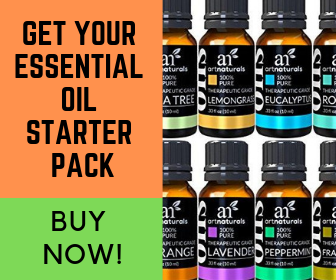 Repeat the natural remedy process, four or five times a day to experience a soothing effect. One of the simplest and effective home remedies for chest congestion and cough. Onion has anti-inflammatory properties. It is an effective remedy for curing chest congestion when used with honey. Quercetin is the anti-inflammatory agent found in onions. Place a slice of onion in a bowl and cover it with honey. Let it stay for overnight. The next day, remove onion from it and consume this onion soaked honey, 4 times a day. Take one teaspoon of honey at a time. You can also have raw, baked, or cooked onions to help mucus flow easily. Bay leaf is a very beneficial herb, which is a natural remedy for several body health problems, including chest congestion. For curing chest congestion, one can have tea prepared from bay leaves. For this, you are required to take fresh bay leaves and put them into a cup of boiling water. Let it soak for some time. Drink it warm. You can also use bay leaves as a hot compress. Put some bay leaves in hot water. Boil it for some time. Then, strain it. Now, dip a clean cloth in the strained water and place it on the chest to get relief from chest congestion. To get rid of mucus-forming bacteria in the respiratory system, lemons are the best remedy. You are advised to add some grated lemon rind or a lemon wedge in a cup of hot water. Let it steep for five minutes. Drink the water after straining it. You can also this solution for gargling. One of the best home remedies for chest congestion in adults, ginger is very soothing for the throat as well as a natural remedy for chest congestion relief. Add one small piece of ginger in hot water. Add two or three black pepper in the water and strain it in a glass. Stir it well adding one tablespoon of honey to it. Drink it twice or thrice a day to relieve congestion as well as a cough from the chest. Another way to use ginger is to add one teaspoon of ginger in a glass of hot water. Put a pinch of ground cloves and cinnamon in it. Let it soak for some time. After filtering, drink this ginger tea concoction. You can also consume raw ginger which can help clear the nasal passages. To get relief in chest congestion, thyme is an effective natural remedy. This natural herb makes lungs so strong to fight against the mucus-causing bacteria. Thyme acts as a protecting shield against bacteria. For usage of thyme, prepare tea by adding one-fourth of a half teaspoon of thyme in one cup of boiling water. Soak it for five minutes and add a little honey to make it sweet. Drink this herbal tea. You can also use diluted thyme essential oils for chest congestion. Mix olive oil or corn oil with thyme oil in 1:1 proportion. Rub it gently on the chest to relieve discomfort. One of the simplest home remedies for chest congestion is hot tea with lemon and honey. To get relief in a sore throat, prepare tea and add a little honey and lemon juice in it. Drink it to get a calming relief in the throat and chest. Vinegar is one of the essential remedies for various ailments. It is also beneficial against chest congestion. Boil some vinegar and use it for inhaling its vapors. Inhaling the vinegar vapors can also help in minimizing cold symptoms. Black coffee is also an effective remedy against chest congestion. When you suffer from shortness of breath and cough, consume two or three cups of black coffee. Caffeine present in coffee acts as a medication against shortness of breath and clears mucus. 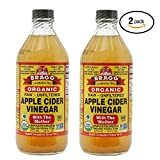 Apple cider vinegar is an effective remedy against chest congestion. Vinegar helps in killing bacteria, which causes mucus in the chest and throat. It relieves congestion and helps in breathing better than before. It is awful in taste but is effective. Swig down a shot of apple cider vinegar. For best results, follow this method after every eight hours. Note- If you over drink it; your stomach will get upset. To loosen mucus in your airways, inhaling steam can be beneficial. Inhaling steam is helpful in clearing chest congestion. All you are required to do is to boil some water in a large bowl. Bend over the bowl and cover your head with a clean towel. Now, inhale the vapors coming out from the hot water. For best results, add a few drops of essential oil (peppermint or eucalyptus oil) in the boiling water. This will help in loosening hardened phlegm. 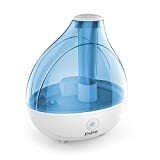 You can also use a humidifier or nebulizer machine to inhale the steam. Note: Do not forget to close your eyes when you breathe in eucalyptus and peppermint oil as it may irritate your eyes, badly. What can be good for chest congestion? Yes, herbal teas are very helpful in providing relief in chest congestion. Tea prepared from various herbs, like chamomile, ginger, etc. is very effective. Anti-inflammatory properties of herbal tea deal with the bacteria that cause congestion. To soothe chest congestion, a hot pack can work effectively. Roast some cloves, carom seeds or fenugreek for 2-3 minutes. Put them in a thin cloth and pack them together. Put this cloth on your throat and chest for a few seconds. It will give you immense relief from chest congestion. This is also one of the best home remedies for chest congestion for toddlers. According to Ayurveda, turmeric is a natural antioxidant and is considered as the king of all spices. Due to its anti-inflammatory properties, it is helpful in curing several internal and external problems of the body. You just have to add a half teaspoon of turmeric powder in one cup of hot milk. Add two teaspoons of honey and a pinch of black pepper to it. Stir the solution well and drink it hot. Turmeric can also be used in tea. Add two tablespoons of turmeric powder and two tablespoons of apple cider vinegar in tea. Drink this soothing tea for relieving chest congestion. Bathing with hot water helps in loosening of mucus that is stuck in the throat and lungs. It works similar to drinking hot water. A hot shower treats chest congestion fast. This will also work as one of the home remedies for chest congestion in babies. Instead of the shower, use a baby tub. Along with chest congestion, mustard plaster is effective against several respiratory infections, like bronchitis. For preparing a mustard plaster, you are required to mix 1 tbsp of dry mustard with 4 tbsp of flour. Add a little water to make a runny paste. Before coating mustard plaster on the chest, apply some olive oil. Spread mustard paste on a clean muslin cloth and place it onto the chest. Leave it until it cools down. Note- Remove the plaster if it causes a burning sensation. Radish is a good source for skin hydration. It not only acts a natural exfoliator but also fights against chest congestion. It is effective in clearing congestion related to bronchitis, allergies, and cold. Take one radish and chop it. Put some lemon juice on it and consume it every morning. You can also have juice prepared from the radish. Wash some radishes and chop them. Put them in a juicer to extract fresh juice. Drink radish juice on a regular basis. Radish oil is also effective for chest congestion and can be used as an expectorant. Onion is the best remedy for chest congestion. Grind one onion into a thin paste. Extract its juice by pressing the paste. Add two tablespoons of water in it. Now, add four tablespoons of lemon juice and two tablespoons of honey in the mixture. Stir it well and heat it until it turns lukewarm. Have it three times a day. Oregano oil is good for relieving the symptoms of the chest congestion. Apply it on the chest and throat. You can also consume oregano oil capsules. As a herb, fennel is used for treating stomach ache, preventing cancer, etc. Fennel is also a natural remedy to remove mucus from the lungs. For the treatment of chest congestion, have sautéed fennel. Adding some curry powder to fennel also helps to clear the chest congestion. Chest congestion can also be treated with some homeopathic remedies. 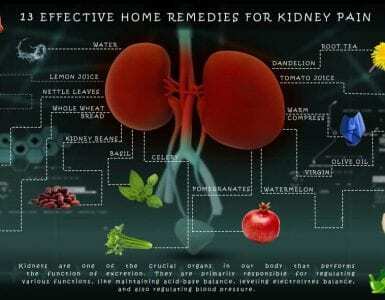 Homeopathic remedies cause no side-effects, and unlike home remedies, they do not require any sort of mixing or soaking. Following are the homeopathic remedies to clear up mucus from lungs and throat. Bryonia alba: Bryonia, also called as Bryony, is very effective for congestion. It is used when a person suffers from a headache, excessive thirst, dry cough, etc. Natrum muriaticum: It is used, when a person suffers from watery chest congestion. Its effect can be judged when symptoms improve by sweating, fresh air, and fasting. Kali bichromicum: It is effective for thick and sticky mucus. It also works against a bronchitis cough. Avoid oily, fatty and salty foods. Consume citrus fruits and spicy foods. Drink herbal tea and coffee.